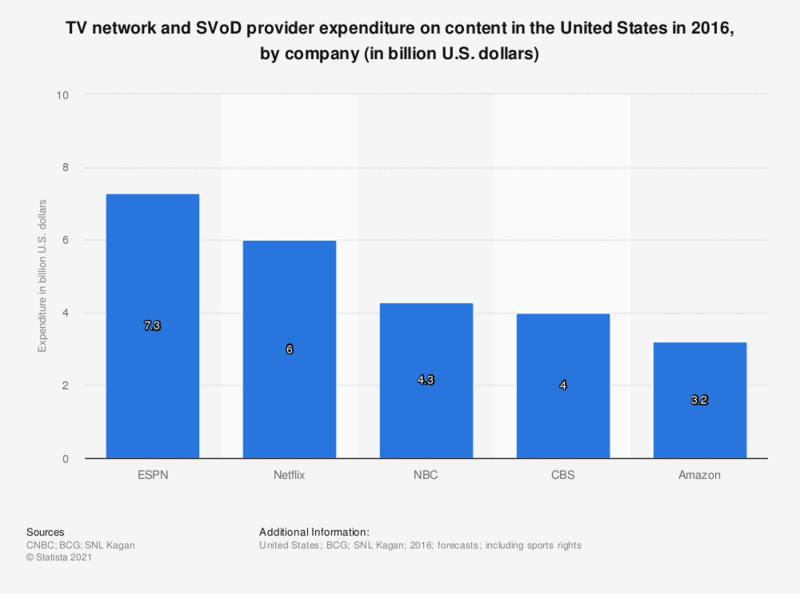 This statistic shows the TV network and SVoD provider expenditure on content in the United States in 2016, sorted by company. According to the source, ESPN was projected to spend 7.3 billion U.S. dollars on content in 2016. Which of the following TV connections do you have access to within your household?